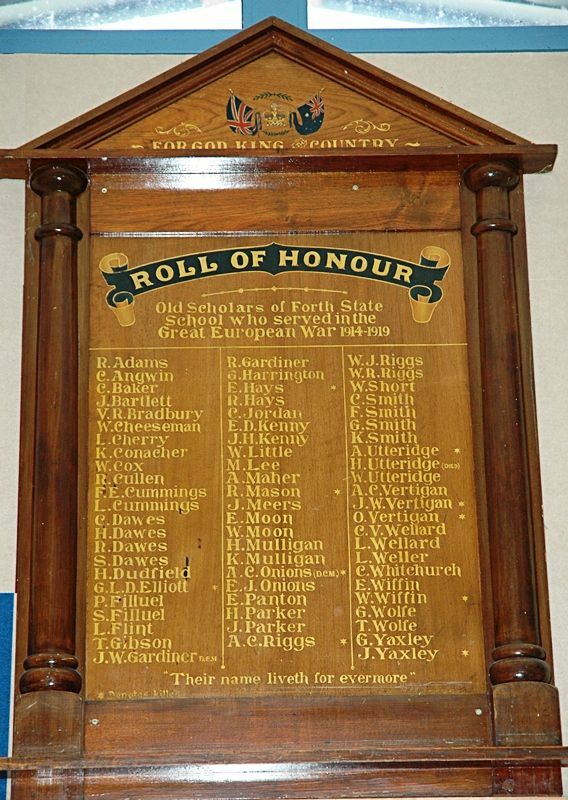 On Monday morning a very interesting ceremony took place at the state school, when an Honour Roll containing some 70 names of boys who have passed through the school and gone to the front was presented to the school by the head teacher (Mr. Swainston). A stirring address on "Duty" was delivered by Rev. Baker, and several patriotic songs were rendered by the children. Examiner (Launceston), 21st October 1916.